Last month, I experienced my first look at the powerful waterfalls of Niagara Falls in Ontario, Canada, fulfilling one of my many travel bucket list destinations. 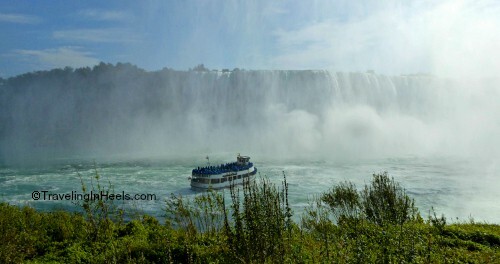 Niagara Falls, Ontario, Canada, offers travelers many ways to experience the dramatic falls, including Hornblower Niagara Cruises. Straddling the U.S.-Canadian border, Niagara Falls offers travelers three spectacular waterfalls: American, Bridal and Horseshoe. These three waterfalls converge and crest over a dramatic 170-foot dolomite and shale cliff to plummet to the raging river below. On the Canadian side, Niagara Falls Parks draws over 12 million visitors per year. I began my Niagara Falls adventure on the ground in Niagara Falls Park, walking the boardwalk and simply marveling in the massiveness and power of the two Canadian falls: Bridal and Horseshoe. Then, we proceeded down, down, down to a “Journey Behind the Falls Tour,” an impressive underground experience with a view from below. 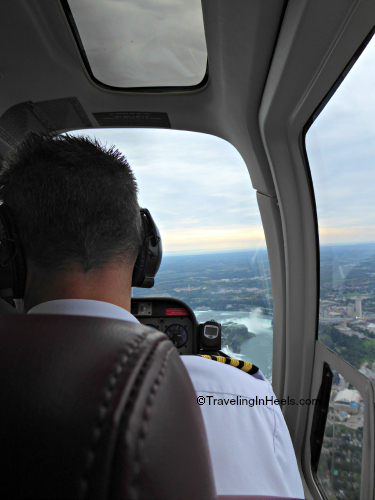 Niagara falls adventure in a helicopter! From there, we stepped into the animated feature, Niagara’s Fury. A family-friendly interactive movie featuring Chip the Beaver and the rest of his pals. 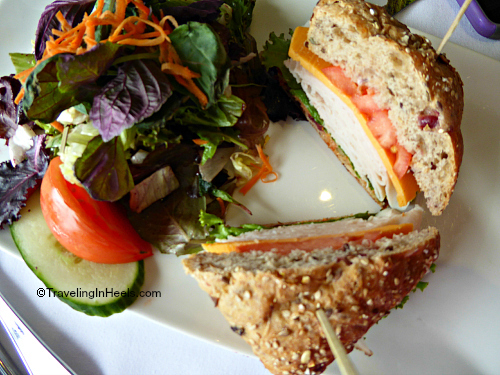 For lunch, we dined at Elements on the Falls, and from the dining area, we were treated to a scenic Horseshoe Falls overlook, featuring cuisine inspired by Niagara local farms. My lunch was started with a Tomato Bisque, followed by a yummy Smoked Turkey on Mueslix Roll, and paired with local wine. Another first for me was a helicopter ride, and what a view of the city of Niagara and the Falls, courtesy of Niagara Helicopters. Keep Niagara Falls in your view with a stay at the Radisson Hotel Fallsview, Ontario, Canada. 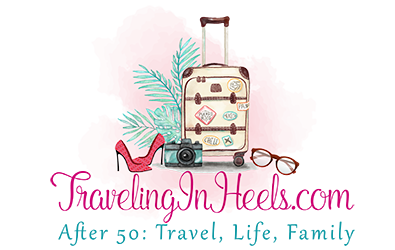 Read more details on my stay at the Radisson in Niagara at Hotel-Scoop (and you’ll also see the heart-stopping view of Horseshoe Falls). Disclaimer: Radisson provided accommodations and activities for my Niagara Falls experience, but the opinions expressed here are my own.